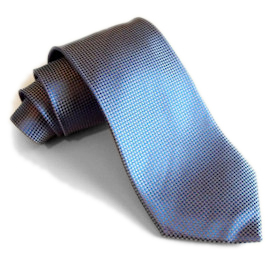 Made of 100% pure woven silk, this tie features a repeating pattern of dark blue and silver diamonds. Available in standard (3 3/4") or slim (3 1/4") widths. 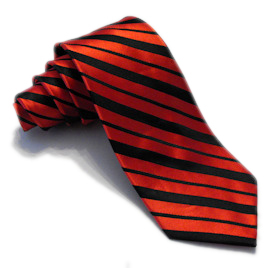 Simply a great tie. I get at least one compliment every time I wear this tie. 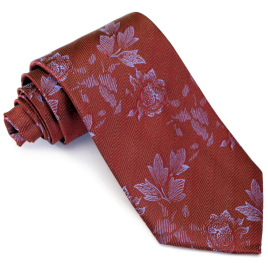 When I wear a Magnoli tie I feel like a million bucks! Recieved tie today, and must say the pictures do not do it justice. Another excellent project, Indy! My fourth Bond tie which will hopefully be joined by a few others this Christmas! Keep up the great work and greetings from The States (North Carolina)! Another beautiful, high-quality piece by Magnoli! 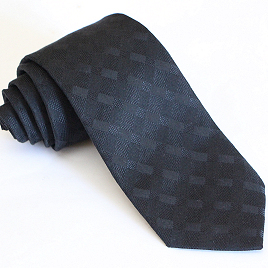 With a simple yet elegant pattern and wonderful colour, this tie makes any guy look like the world's best-dressed secret agent! Highly recommended! 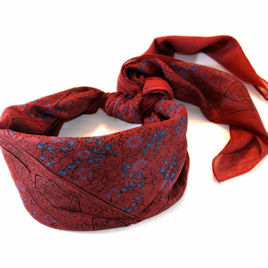 My first purchase from Magnoli Clothiers and definately not my last! 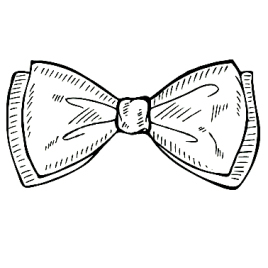 5 stars for all three ties. Great quality at a very good price. I feel just like Bond himself! 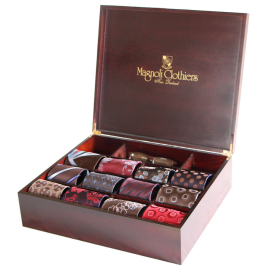 Another excellent tie from Magnoli, perfect! I am looking forward to yout next Bond tie project! Another amazing tie and my favourite so far. Excellent stuff yet again.